We fish for Fall Chinook in August through December. Fall Chinook run form 15 to 50 lbs. 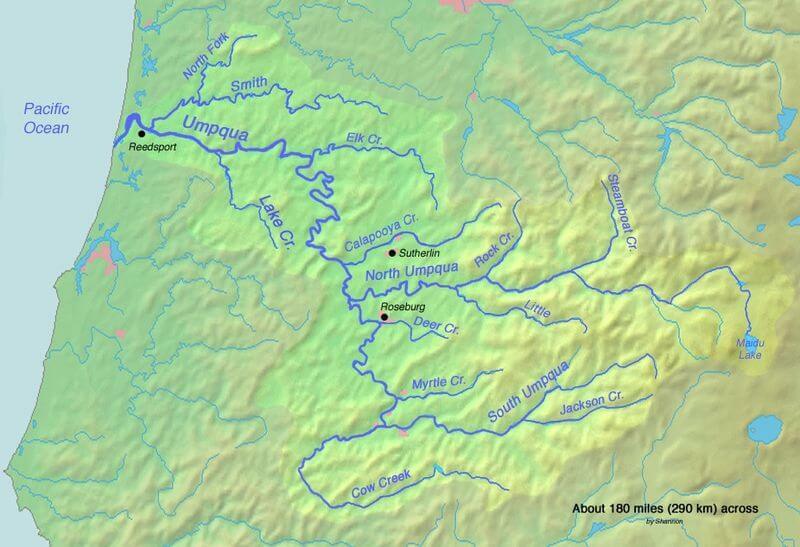 All rivers, The Umpqua, Rogue, Coos, Coquille, Elk, and Sixes have good runs. To catch them we use bait, bait under bobbers, spinners and we also have a few other secret favorites. In October through December, on the Sixes and Elk rivers we can catch Fall Chinook on flies. We recommend a 9/10 weight fly rod and a good reel. Fall Chinook are big and they fight like nothing you have you have ever fought before. The Spring Chinook run from April through June. We have some of the best Salmon fishing rivers in the Northwest. Fishing the Umpqua, Rogue, Willamette and the Mckenzie Rivers. Size of fish are form 15 to 30 lbs. to catch them we use bait and quick fish. We fish out of drift boats and jet sleds. Spring Chinook are fantastic they will give you all you want.